Minister of Energy, Jeff Radebe. The long-awaited 27 renewable energy independent power producer (IPP) projects will finally be signed on Tuesday. This was announced yesterday by new energy minister Jeff Radebe. "I am delighted to announce that the project agreements of the 27 Renewable Energy Independent Power Producer Projects (REIPPP), including the power purchase agreements with Eskom, will be signed on Tuesday, 13 March 2018, with the full support of the president and my Cabinet colleagues, the ministers of finance and public enterprises, as well as Eskom," he said. The minister said the announcement was a milestone following a protracted period of uncertainty, and the signing of the agreements would be re-confirming government's commitment not only to renewable energy, but also to a solid partnership with the private sector in pursuing government's energy transition objectives for the future. Radebe also said the signing of the long-awaited agreements will bring much-needed policy and regulatory certainty and maintain SA's position as an energy investment destination of choice. "This initiative will enable R56 billion of new investment in the economy over the next two to three years, which will immediately contribute to growth in the economy, supporting the already positive achievement of 3.1% GDP growth in the quarter four." 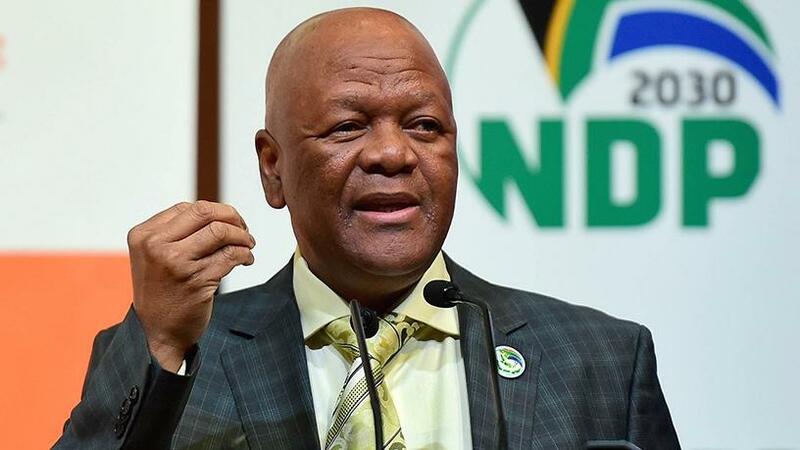 Radebe said the renewable energy programme, which is aligned to the Paris agreement on the reduction of emissions as well as the South African environmental policy, will create thousands of jobs. "These programmes will contribute towards competitive market pricing of electricity, both for the household consumer as well as for industrial usage. This will be achieved firstly through the mere entrance of new and efficient market participants, and secondly, through the variety of sources for electricity generation. Lower electricity prices such as what we are experiencing with renewable energy generation will assist indigent households to cope with the rising cost of living. "In a nutshell, these projects will provide 61 600 full-time jobs, of which 95% is for South African citizens, mostly during plant construction, specifically with a focus on youth employment. Northern Cape will have 59% of the jobs created, followed by Eastern Cape with 15%, and North West 13% of jobs created," he said. He noted black participation is anticipated to increase not only at ownership level, but at operational level, and added the construction and operation of the projects will eventually lead to the creation of black industrialists. "Local community shareholding (equity share) in the 27 projects amounts to 7.1% (or R1.6 billion). The local community shareholders for the 27 projects will receive R5.9 billion net dividends over the 20-year lifetime of the projects. This will have a substantial positive impact on the living standard of the communities around these projects. Communities through Community Trusts have full control over how the money will be spent in their areas," he said. The minister also said the IPPs will enable local communities to further benefit directly from the investments attracted to the areas through the R9.8 billion to be spent on socioeconomic development initiatives, and R3.4 billion to enterprise development over the 20-year lifetime of the project agreements. Radebe noted he has requested the IPP office to engage in the preparations to finalise all outstanding requirements for the signing of the 20 projects under the Small Renewable Programme [projects between 1MW and 5MW], which will have a substantial impact on a different market segment and contribute to creation of small businesses. "This will immediately ensure a R2.7 billion investment in this part of the economy." Meanwhile, industry body the South Africa Photovoltaic Industry Association (SAPVIA) congratulated Radebe and the Department of Energy on the announcement. "This will bring much-needed investment into our economy, as well as secure current jobs and manufacturing investments in the sector. In addition, many new jobs and opportunities will be created for communities surrounding these projects, supporting what is a vibrant growing industry," said SAPVIA. "By confirming dates for the financial close of the Round 3.5 and Round 4 projects, government is sending out a signal that we have indeed reached a new dawn with the leadership changes under president [Cyril] Ramaphosa. "This will revitalise long-term investor confidence, both local and international, investment and, more specifically, job creation and retention in this market. R58 billion of investment, more than 15 000 jobs and 2 305MW of energy added to the mix is only the beginning of what this industry can achieve." Fellow industry body the South African Wind Energy Association (SAWEA) said over the past two years, renewable industry employees across the value chain, at power plants, construction companies, manufacturing facilities, service providers and other related firms have been retrenched, and many local firms continue to face significant financial losses due to the delay in the signing of IPPs. SAWEA noted SA's manufacturing and construction industries in particular stand to benefit immediately from conclusion of the power purchase agreements (PPAs). The recovery and growth of the domestic manufacturing industry is particularly critical, given its potential to increase investment, create jobs and drive down the price of renewable technology, it added. "The industry is therefore immensely relieved to receive confirmation from minister Radebe that PPAs will be signed with no further delay," said Brenda Martin, CEO of SAWEA. According to SAWEA, at the end of 2015, after three successful competitive bid rounds, utility-scale renewable power projects totalling 6 376MW and amounting to investment of over R200 billion had been procured. The estimated average portfolio cost for all technologies under the REIPPP has dropped consistently in every period to a combined average of R0.86/kWh by that point. It noted 37 preferred bidders from Rounds 3.5 and 4 should normally have signed PPAs with Eskom by no later than April 2016. Instead, the agreements have remained unsigned, delaying investment of over R59 billion, the creation of over 13 000 construction jobs and a further 2 000 operations jobs.